One of the critical lessons we have learned over the years is the need to understand the requirements of each Architectural Review Board (ARB) we work with. If you have a property that requires architectural review we cannot stress how important this is. Each community has distinctly different technical standards, policies, procedures and submittal requisites. The first step is to be certain you have the latest design guidelines and submittal requirements and that there are no other documents from other sources you need to reference. Gather this information and read through it carefully. If you have questions, ask the developer, the board or their representative before you begin design work. 1. What are their unique concerns? Each community has colors, materials and a myriad of standards that must be followed. Realize the unique ones for your area and be sure to cater to those unique differences. 2. What is the impact of this design or addition on your community? If your property is in a high profile location such at the entry or multiple sides of your home will be highly visible, you may be held to a slightly higher standard; at the very least your design will receive greater scrutiny. Understand this as the design is developed and take this into account. 3. Who is on the ARB? Are they design professionals who can visualize a home easily from 2D plans or do you need to add color or 3D views/renderings to help explain your project? Cater to the people doing the review. When working with a builder or remodeler, you’ll want to be sure they know and understand all of the requirements. There may be documents they need to sign also. The better everyone on the team is informed, the smoother your design approval and build process will be. 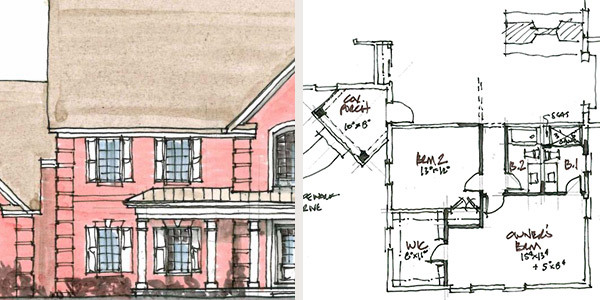 For more information on how we can help you in your next remodel, plan revision, or new home design, we invite you to connect with one of our creative team members. We are here to help ensure great success with your project for you and your builder. Let our years of experience work for you! Older PostDo You Understand Building Codes?